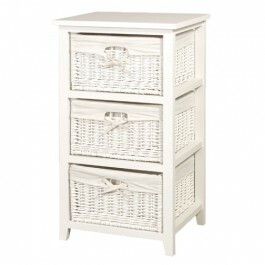 If you are short on space in your bathroom but are looking for additional storage that wont take over then this lovely white painted storage unit could be ideal for your bathroom. 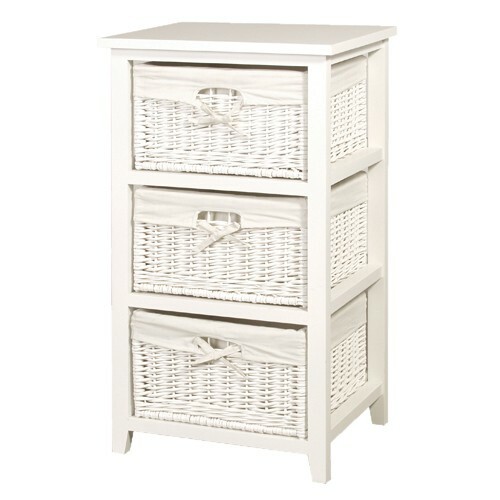 With three lovely wicker baskets containing white covers makes this Storage Unit easy to use, accessible and easy to clean if needs be. With table top space as well this White Storage Unit really does have everything you would need to complete those finishing touches to your bathroom.